Hey there everyone! This is my first solo review. I’ve tried all the previous beers on the list but I’ve been designated to review this one tonight. 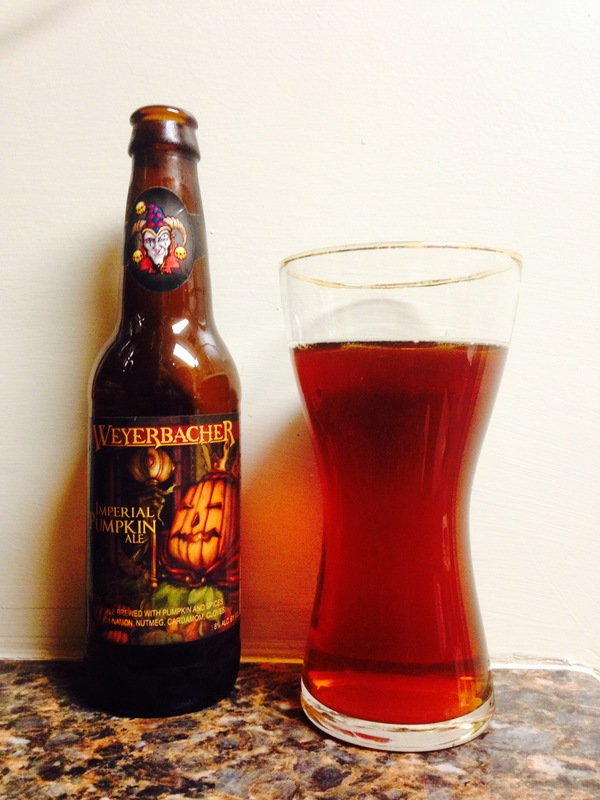 This brew is brought to us by Weyerbacher in Easton Pa. This beer has pretty great alcohol content, 8%! Always a plus for me! I tried this last year and was really excited to try it again. This year I love it even more. The smell is fall at its finest, cinnamon, nutmeg, and yummy spices fill your nose before even hitting your tastebuds. A good solid 8 for me. This beer definitely delivers with taste too. More full flavor than most, a little spicy clove lingers after it goes down. Really delicious! Enjoy!